A Te Awamutu local and an expert in all things Waikato, Adam McGrath will help you make your next real estate move. With his honest and straight forward approach, Adam will ensure you understand the process of buying or selling and work with you to help you achieve your goals. Adam comes from a family of real estate sales consultants and has an outstanding knowledge of the industry. He understands your home is your castle and, as such, you want the best results. He will work hard to do just that for you, utilising his years of experience in sales and customer service. With the backing of New Zealand’s largest and most trusted real estate brand, Harcourts, Adam has the skills and drive to make your sale or purchase a successful one. Call Adam today and discuss where you want to be. He’ll put your mind at rest with his comprehensive approach to making your dreams a reality. After taking a three year break from Real Estate, Jan has returned. 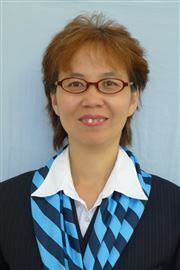 With previous experience in real estate sales and a variety of other customer service roles in local companies including a local optometrist for 11 years, Jan has been part of the community for over 25 years in Te Awamutu. She is looking forward once again to working with buyers and sellers to create successful transactions, helping people find their dream home, while also working with vendors to achieve their goals to sell at the best price available in the market. Jan's enthusiasm and passion for people and property will create an enjoyable experience and great results when working with her. 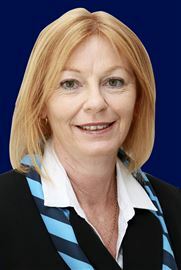 If you're looking to buy or sell, or would just like some advice, call Jan today on 027 404 7941 to help you achieve your property goals. 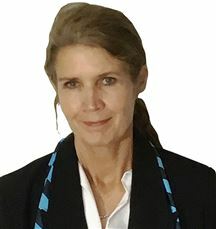 Janeane grew up in the area and has strong ties to the community along with bringing local knowledge, she has lived elsewhere, and is aware of what the experience is like when you are buying or selling property. Janeane is enjoying the opportunity to provide her clients with experience and the foresight to pro-actively communicate and build relationships. She brings an understanding of what is involved with shifting, changing homes or locations, guiding you through every detail of the buying and selling process from the first phone call until settlement. Janeane has worked in various administration and customer service positions enabling her to be precise and organised. She will be working hard to ensure you are understood and feel you have a friend in the business who is always available to help. 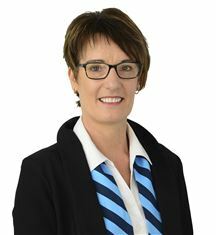 If you are thinking of buying or selling give Janeane a call today on 021 - 883 753. Tony has had many years of owning & managing various businesses including being the local milk vendor in Te Awamutu for 5 years and running a food distribution business throughout the Waikato and turning that business into the 3rd biggest food distribution business in the Waikato. 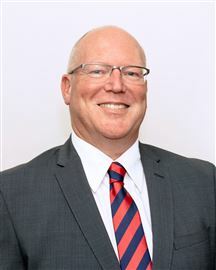 After many years utilising and perfecting his sales and management skills, he has bought those attributes to the residential Real Estate with his wife Viv for a number of years and more recently has moved into the commercial and business sales area as this suits his background better and he continues to provide commercial clients the very best service. Tony has always been a problem solver who is highly motivated, goal driven and enjoys using his experience and strengths to help with commercial, industrial and business sales which will help you achieve optimum results. Give Tony a call today on 021 247 3008. Looking for a Kawhia Freehold? Vendors Are Ready To Move!!! Help I need a HANDYMAN! Vendors words - "Sell NOW"
The Darling of Douglas Avenue? Is This Your Next Reno? All We Need Is "You"
Must View - "Don't Miss Out"
Cute, Tidy and Close to C.B.D.